This item requires a fork-lift for delivery. This vertical band saw is a heavy duty metal cutting bandsaw able to handle large production pieces due to its extra large twin tables. 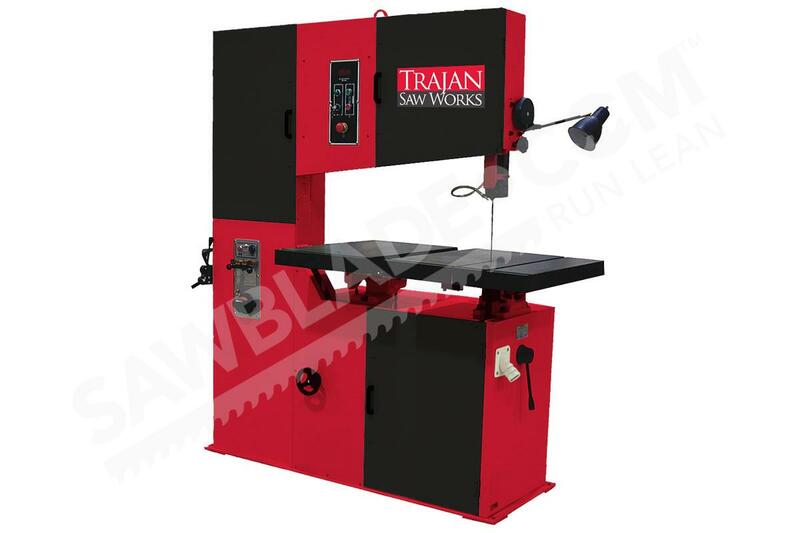 The Trajan VBS-3610 can handle pieces 12" tall and has a 36" throat to allow you to work with extra large stock and/or bundles.. With a 3HP, 3 phase 230V Motor this machine can handle your most challenging jobs. The tables tilt 10 degrees left and a full 45 degrees right. 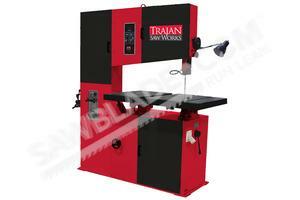 This bandsaw also includes a Bimetal blade welder, grinder and cutter to further its capabilities.